At Chabad we realize how frightening, overwhelming or simply lonesome being in the hospital can be, and that’s why we put such emphasis on visiting people in the hospital and bringing them a gift package with goodies, that show them we care. 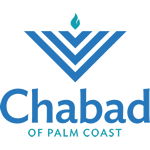 Chabad of Palm Coast and its volunteers have visited numerous hospitals and senior homes bringing joy to many patients. Most importantly the patient is given the message that they are not alone.